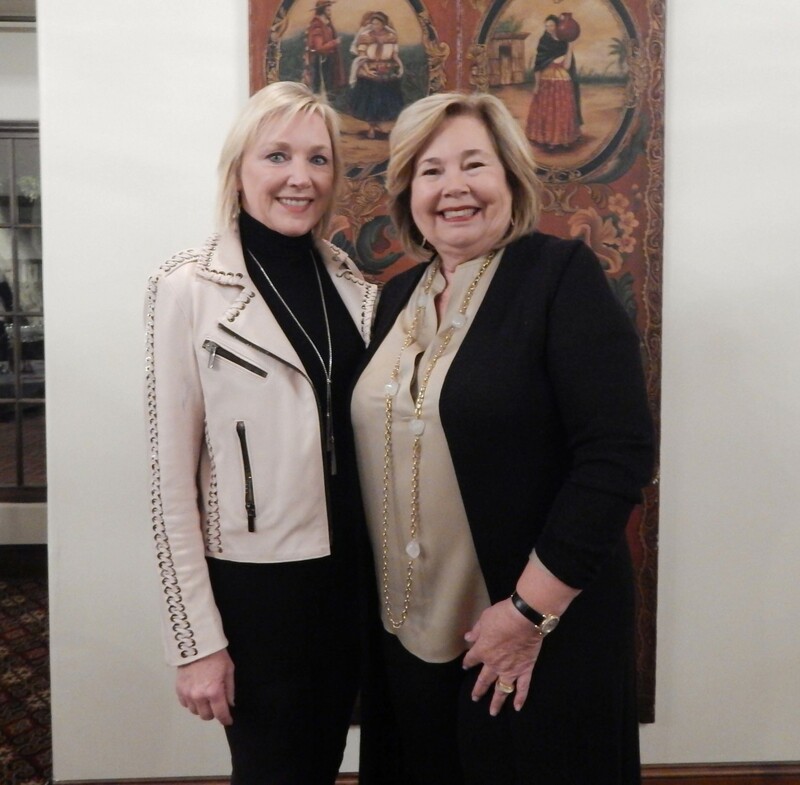 RANCHO SANTA FE — The Nov. 14 membership meeting for the Rancho Santa Fe Women’s Fund at the Rancho Santa Fe Golf Club attracted more than 70 guests. It was a special meeting in that their celebrity guest speaker was fashion expert Carson Kressley. Dr. Sandra Coufal, the advisory chair for the Rancho Santa Fe Women’s Fund, welcomed guests after they took their seats. Since the evening was all about fashion, she started with a quote from fashionista Coco Chanel. “Coco said nature gives you the face you have at 20; it is up to you to merit the face you have at 50,” Coufal said. At the beginning of the meeting, Coufal pinned longtime members with a hummingbird brooch. Members who received a 10-year pin included Donna Walker and Paige Vanosky. Those who received a five-year and beyond pin were Elizabeth MacLeod, Marian Benassi, Pat Newmark, Mindi Butterfield and K. Ann Brizolis. The Rancho Santa Fe Women’s Fund was founded in 2004 by Rancho Santa Fe resident Gayle Gillies-Mize. The fund’s membership roll stands at 120 people and is growing consistently. It is open to those living in the 92067 and 92091 zip codes. Proceeds from membership contributions, which begins at $2,300 per member year, go to support local charities. Since its inception, the Rancho Santa Fe Women’s Fund has collectively gifted $3.1 million from its annual grant distribution program to San Diego County nonprofit organizations. To learn more about the RSF Women’s Fund, visit www.rsfwomensfund.org.